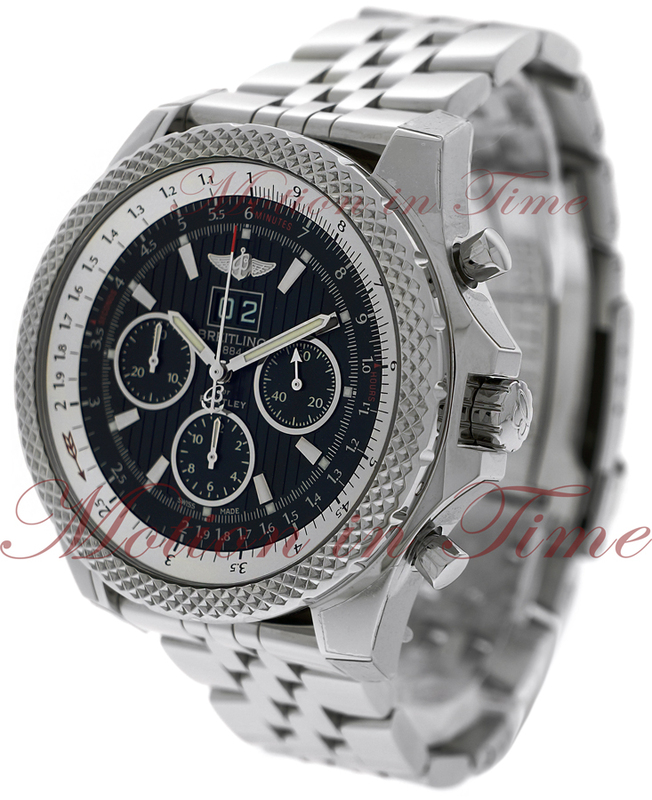 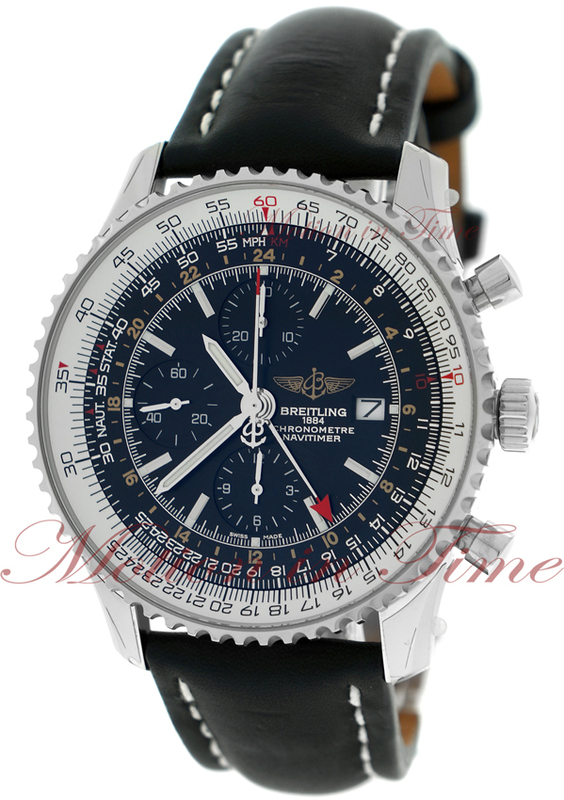 In 1884, Leon Breitling opened the Breitling Watch workshop in the Jura Mountains region of Switzerland specializing in the manufacture of Chronographs and precision instruments, Gaston Breitling (Leon’s son) developed and manufactured the first Breitling Chronograph Watch and ever since the company has been in the forefront of revolutionary design and innovation. 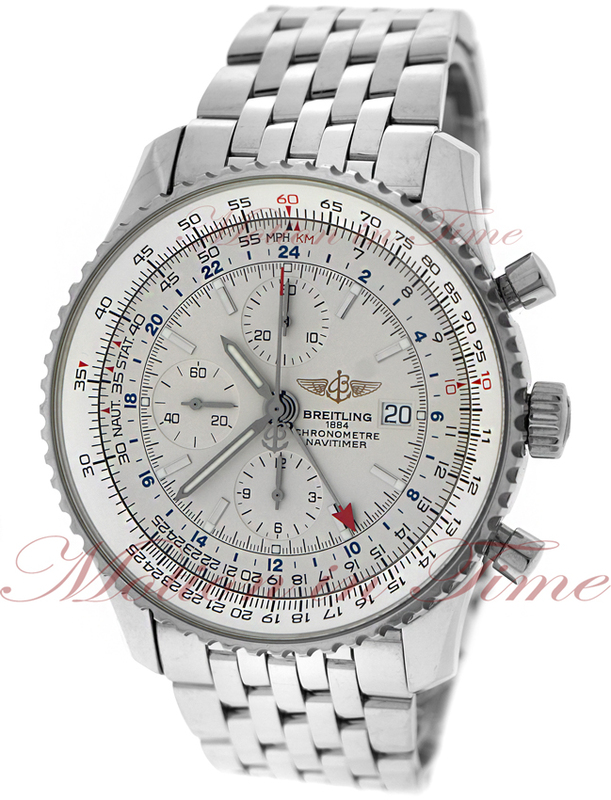 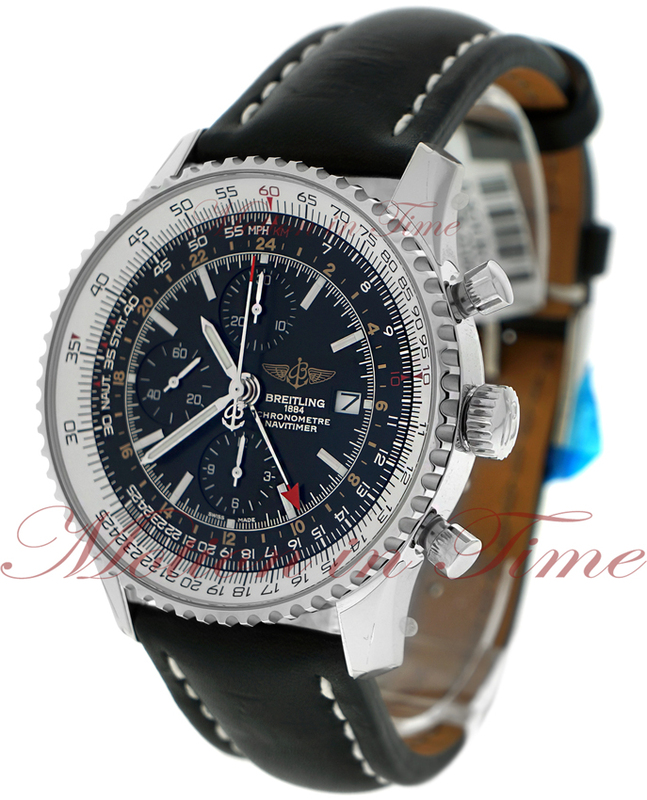 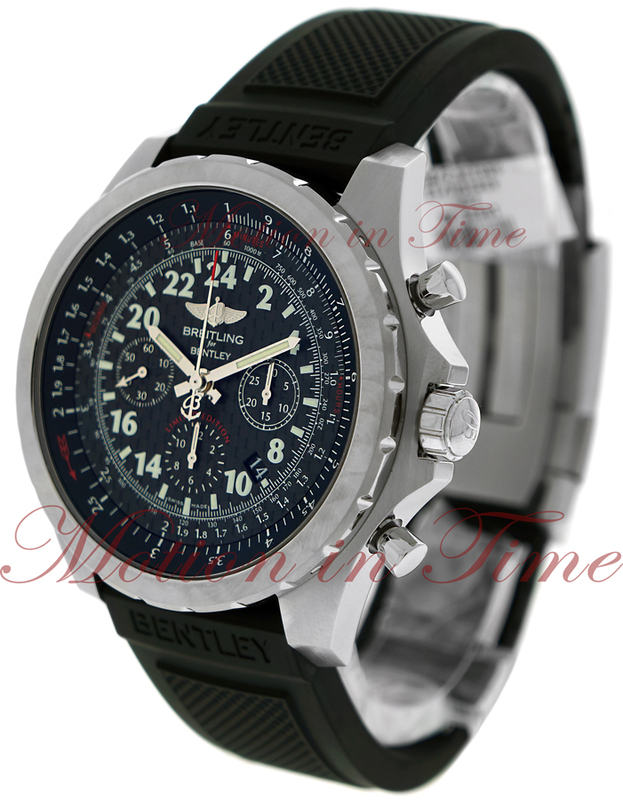 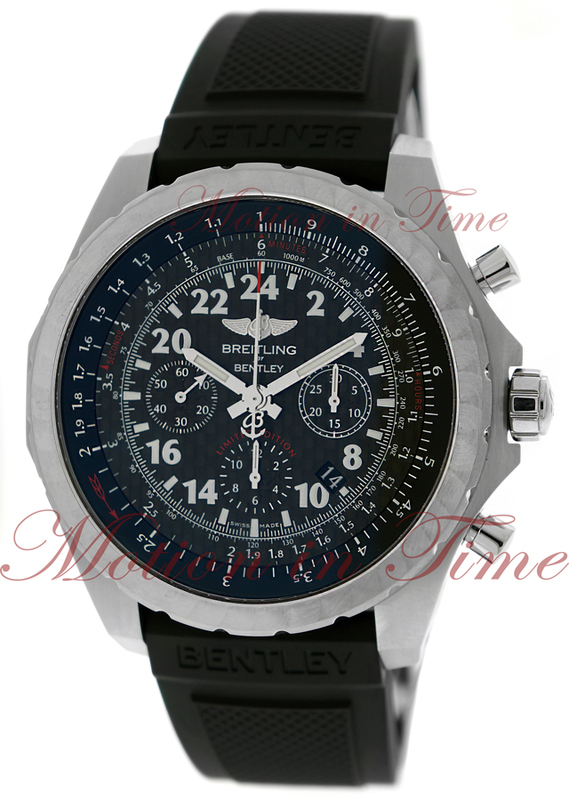 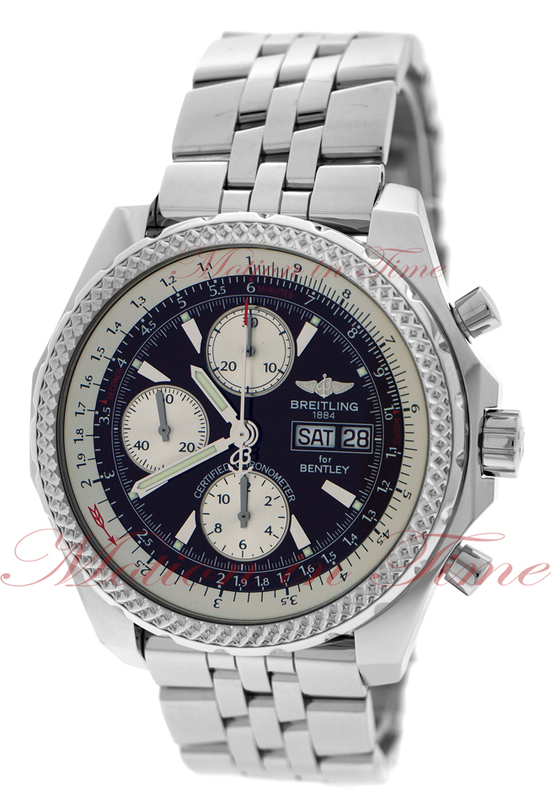 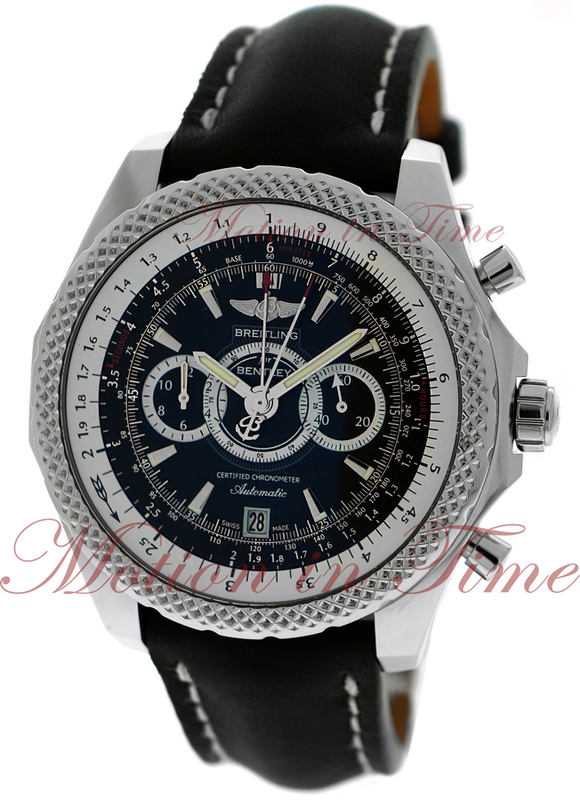 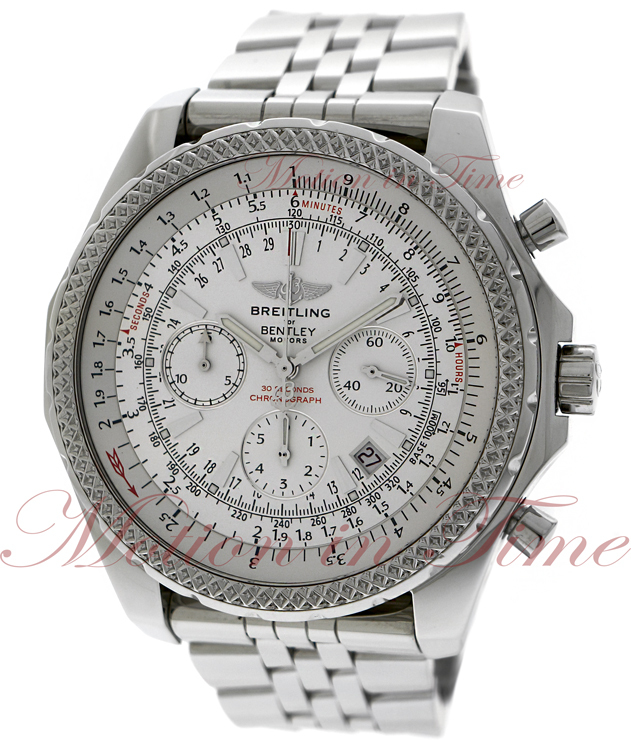 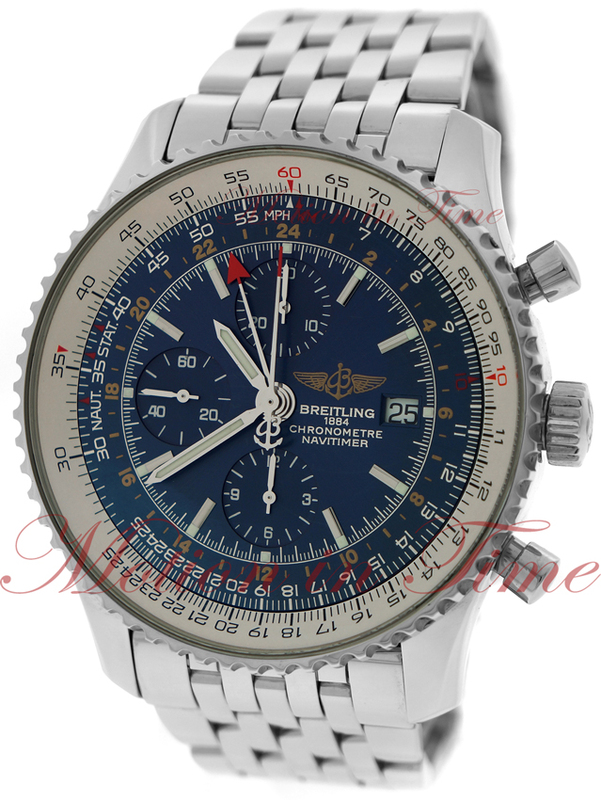 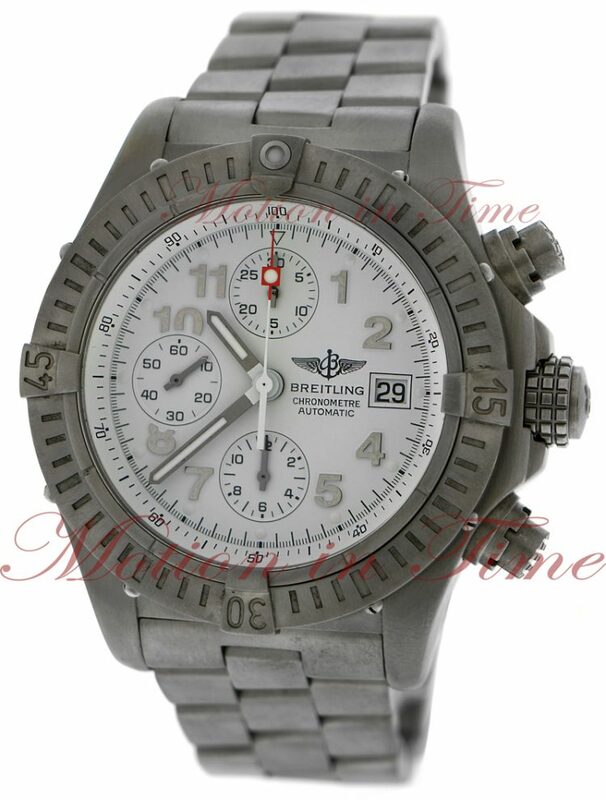 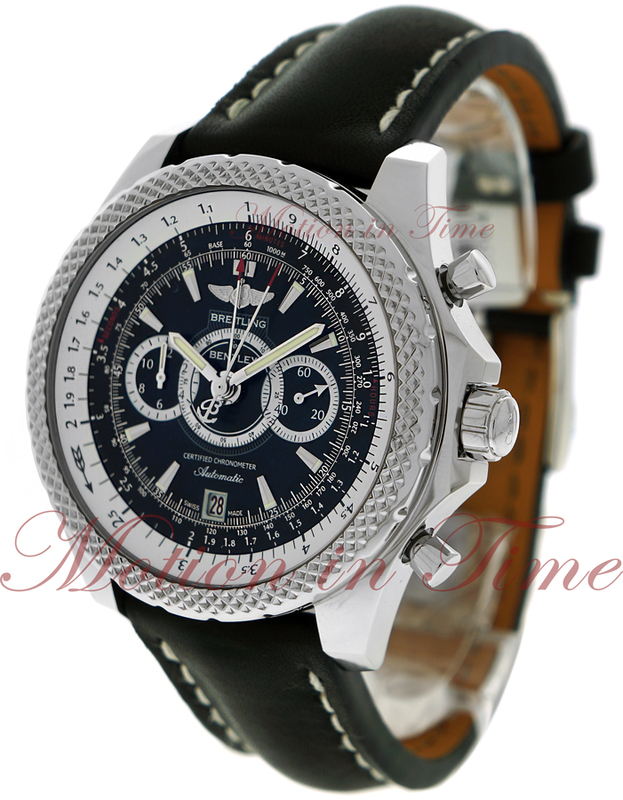 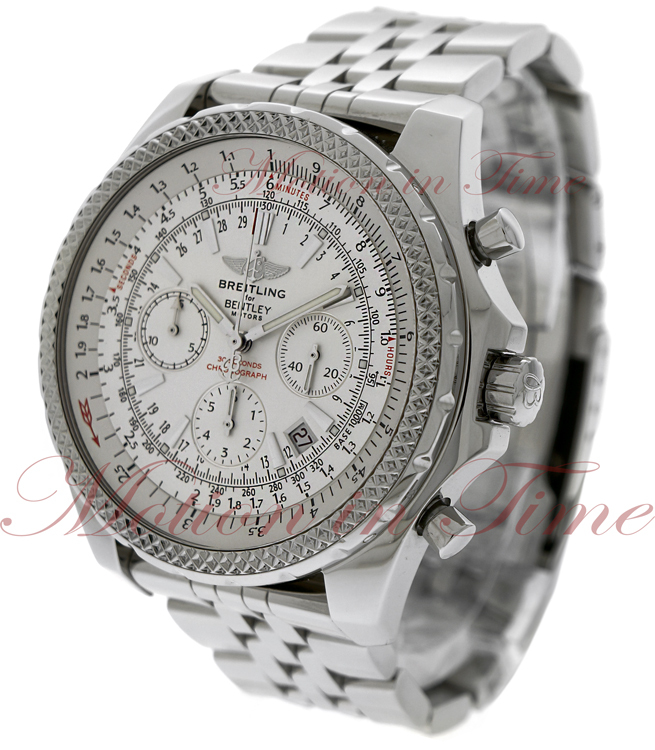 Particularly known for Pilots watches, the brand is organized in 5 main collections: Navitimer watch collection, Windrider, Professional, Aeromarine and more recently a Partnership between Breitling watches and Bentley motors. 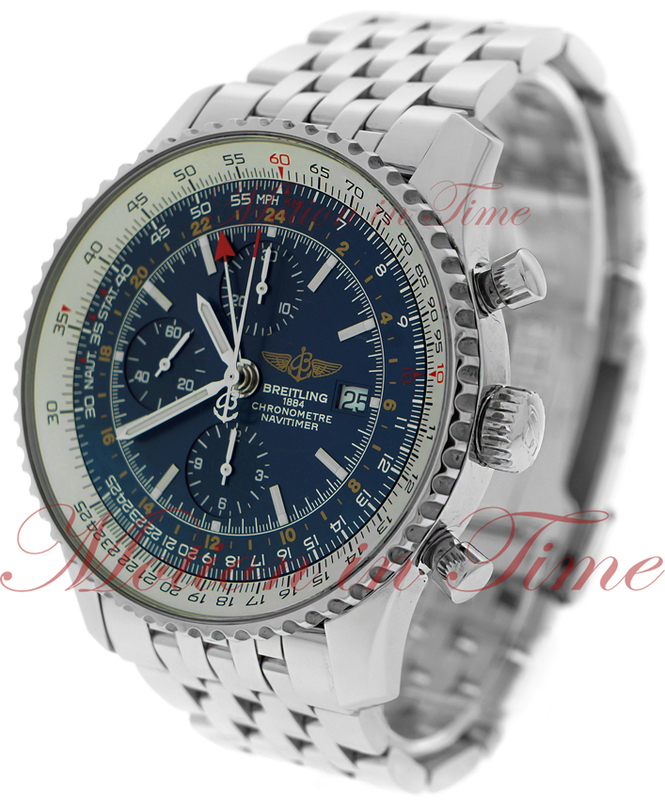 The Navitimer watch series launched in 1952 is the signature of the brand and is equipped with a manual navigation computer. 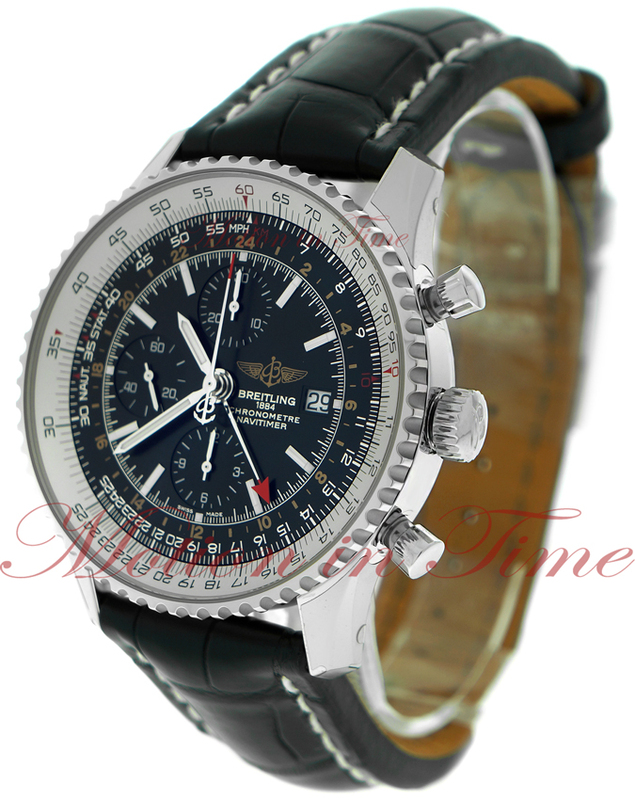 The range now includes the Navitimer World, Cosmonaute, Montbrillant, Montbrillant Legende, Montbrillant Olympus, Datora and the Chronomatic. 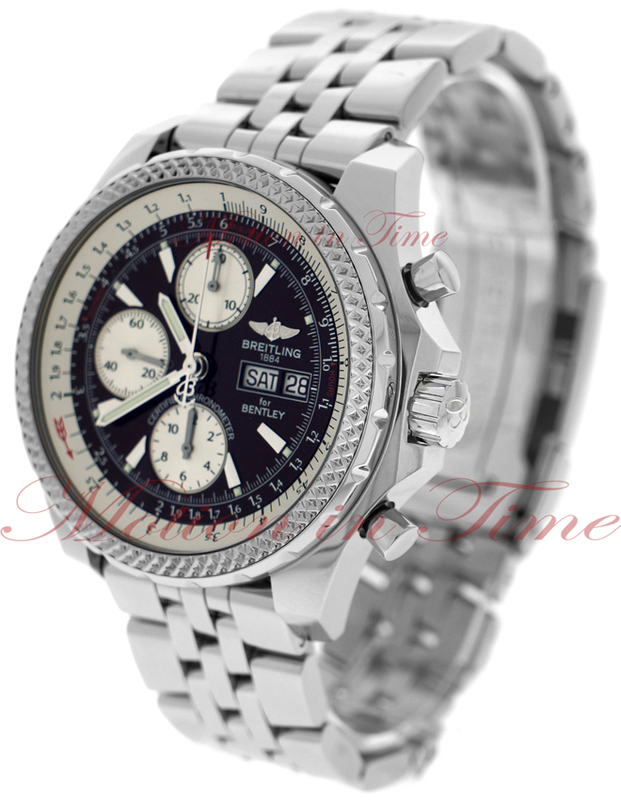 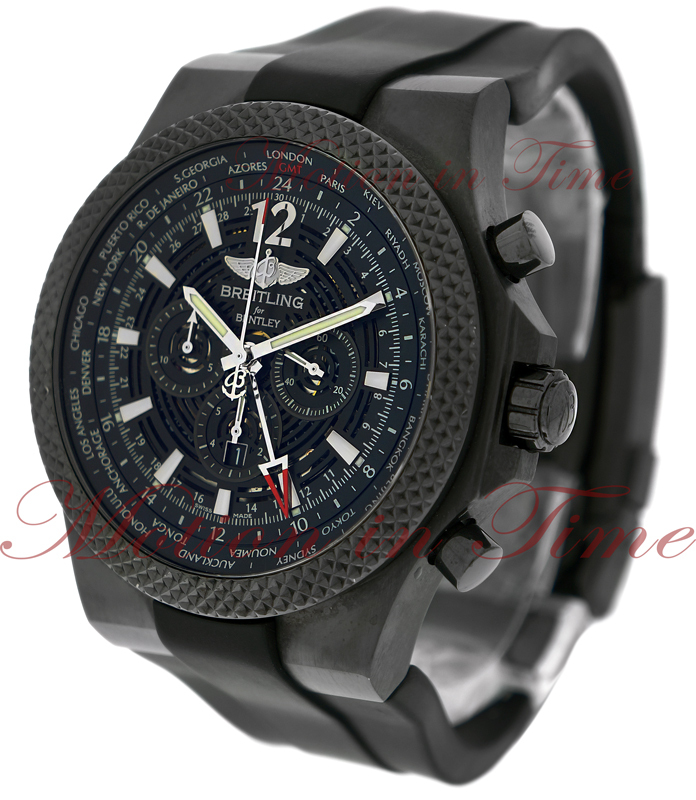 Models of Breitling from the casual day to day Windrider collection include the Chronomat Evolution, the Chronomat B01, Blackbird, Galactic, and Chrono Galactic. 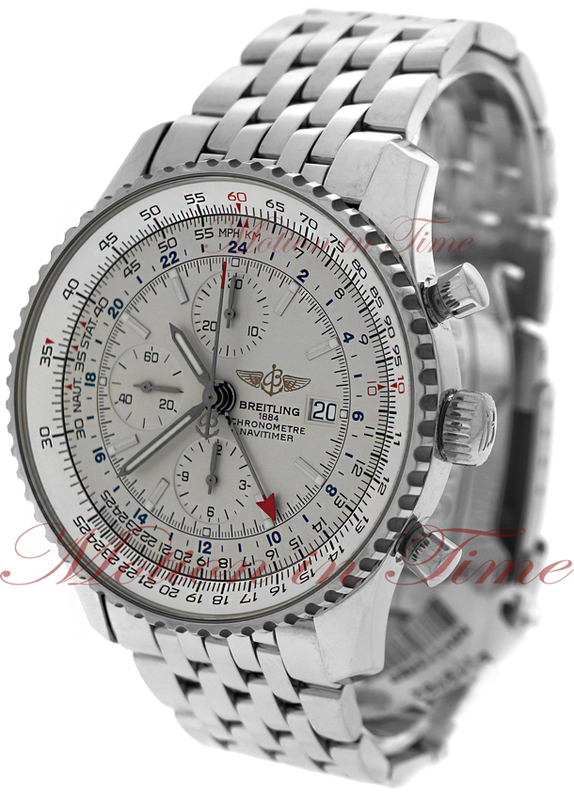 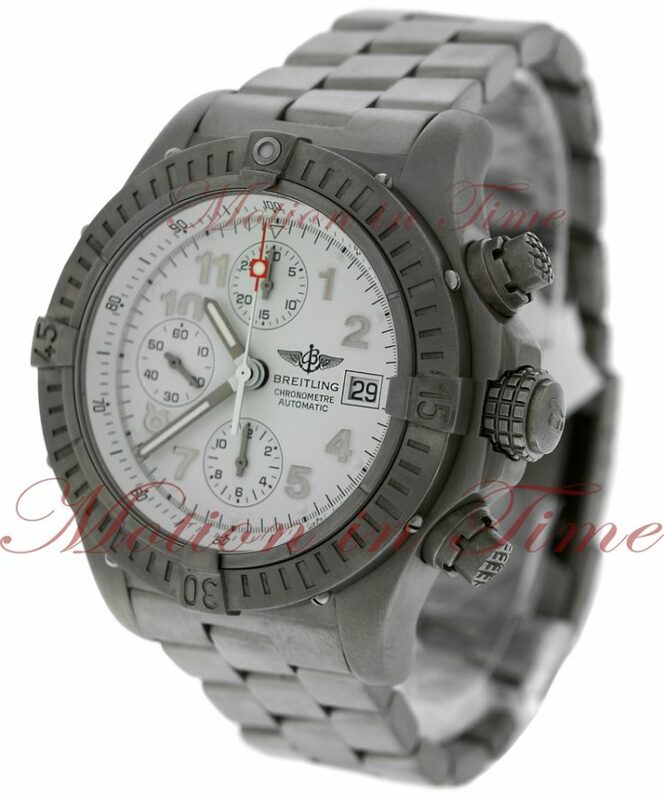 The Professional collection includes tailored watches for the Aviation world such as the famous Emergency and Emergency Mission watch fitted with a built in micro transmitter which, when activated, broadcasts to the 121.5 MHz aircraft emergency frequency which helps save lives after a crash or forced landing. 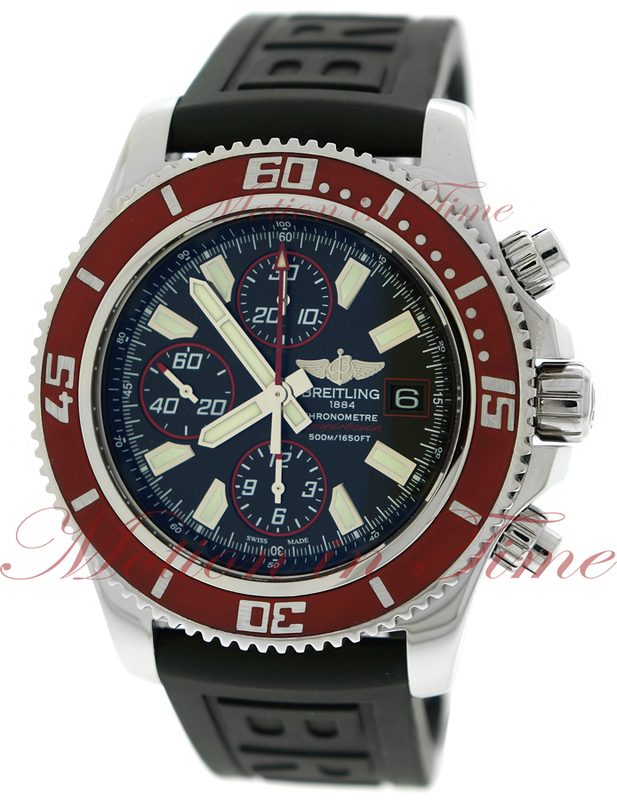 The Aerospace, Airwolf, Skyracer and Co Pilot complete the range of the technically advanced and useful watch collection. 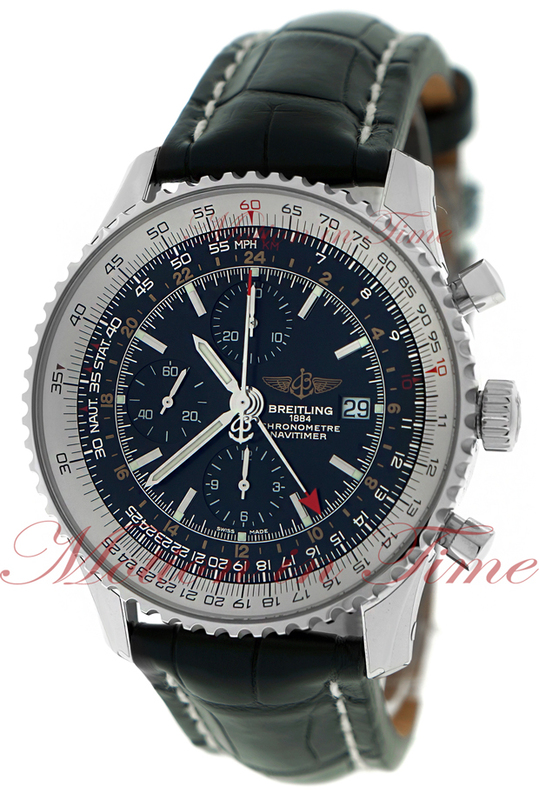 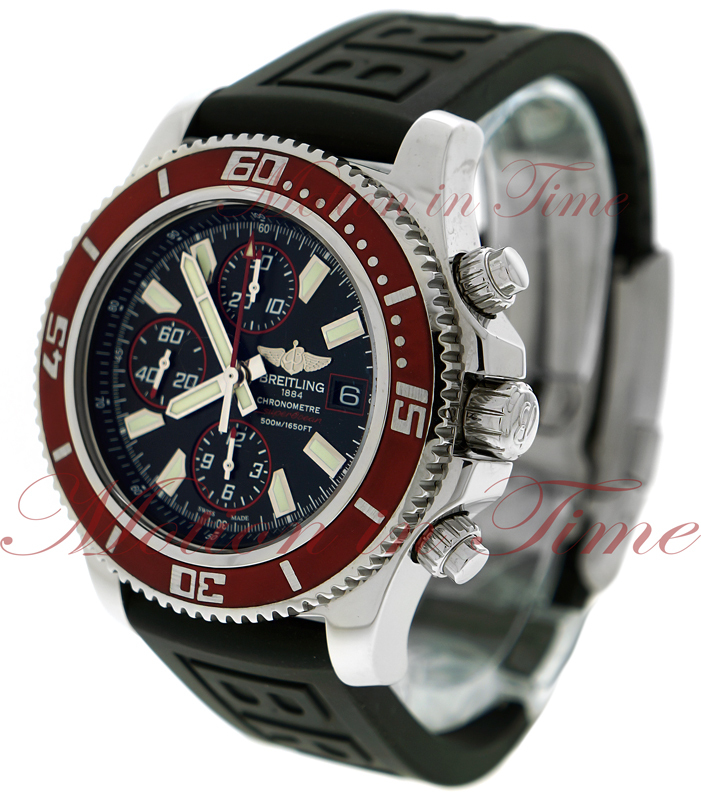 In the Aeromarine collection are the Super Avenger, Avenger Skyland, Chrono Avenger, M1, Avenger Seawolf, Superocean, Chrono Superocean, Superocean Steelfish, Heritage, Chrono Colt, GMT, Colt Automatic, Colt Quartz and Colt Oceane. 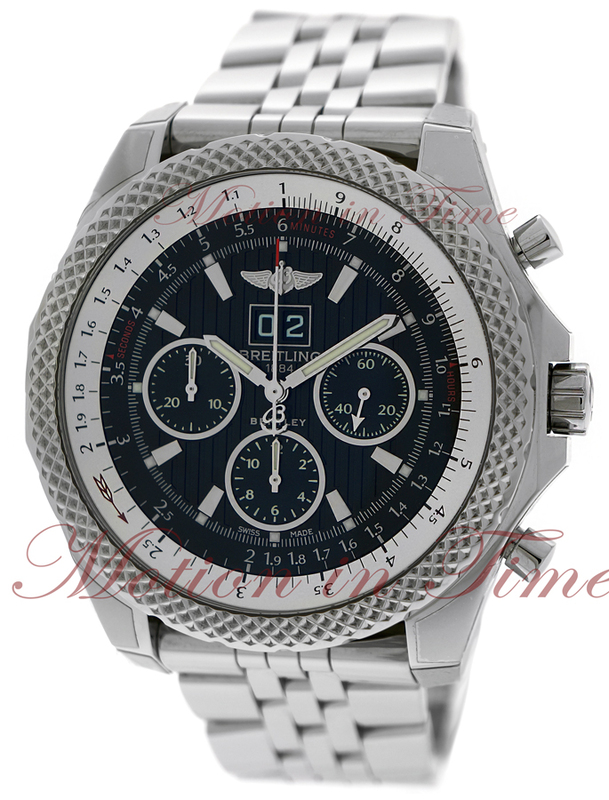 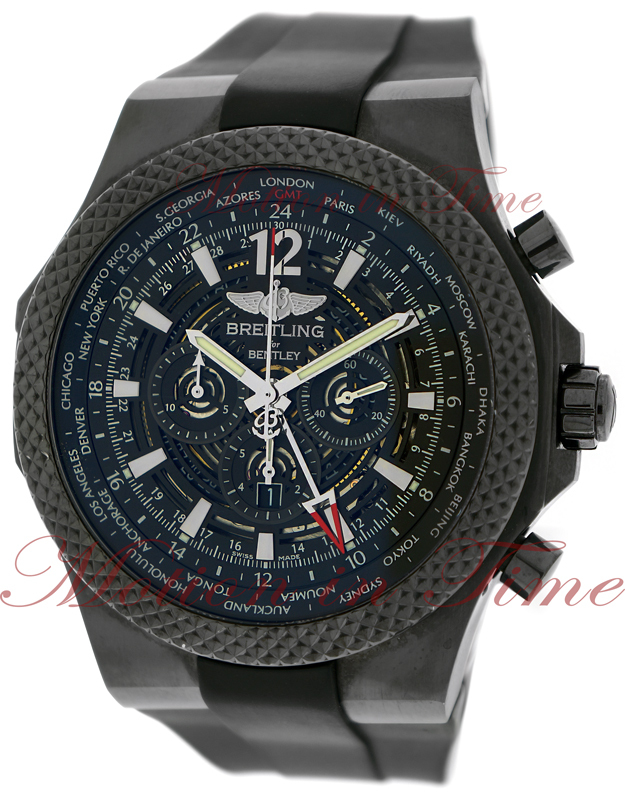 Breitling’s partnership with Bentley has seen the 6.75, GT, GT Racing, Motors, Motors T, Flying B, No.3 and the Mark VI in keeping with the traditions of the elite car manufacturer and this remarkable watch brand.